Looking for a last-minute activity to do with your kids? How about a fun learning game? 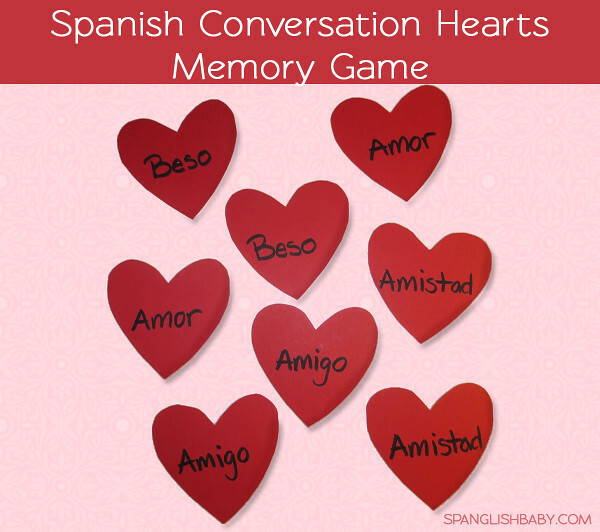 I created this Spanish conversation hearts memory game for the kids to learn some new Valentine-themed Spanish words. This game can be customized to your child’s needs too. 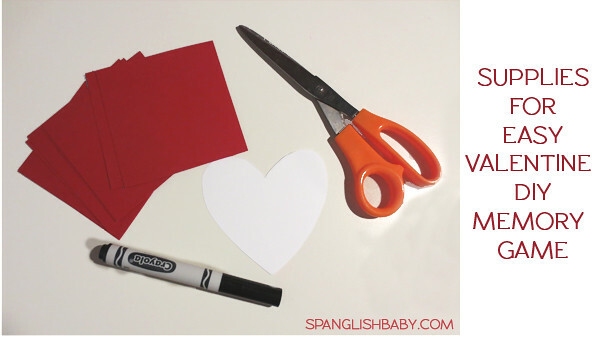 Trace and cut the heart on each square. Choose 4 Spanish words to use in your game. 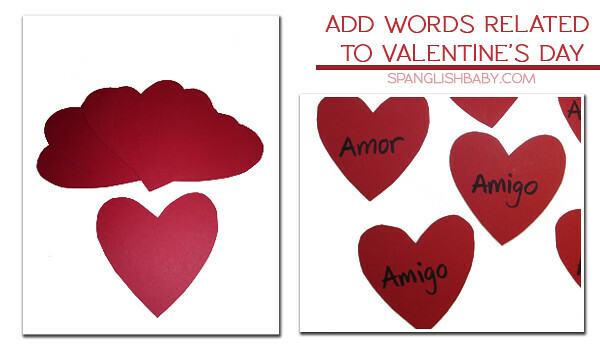 We used the following words: amistad, amor, beso, and amigo. 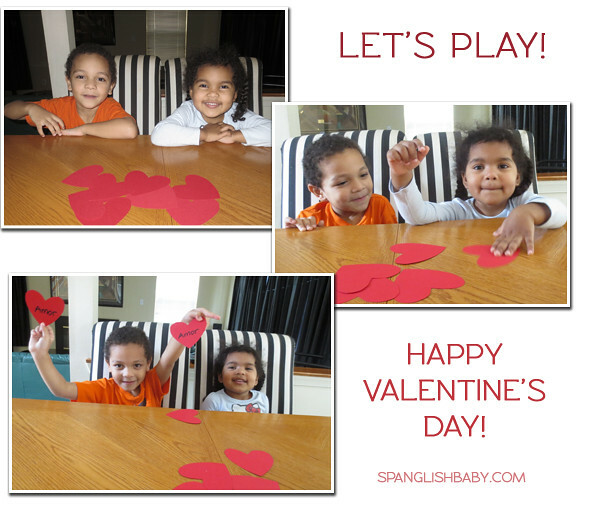 Arrange on a flat surface and let’s get ready to play! It was the perfect activity to play while we waited for lunch to finish cooking. My kids enjoyed learning the words as we played. We pronounced them in Spanish and explained the meaning in English. I hope this game encourages bilingual play and that a few new words are learned too. Love this idea! It’s so simple and fun. My boy loves to play memory!